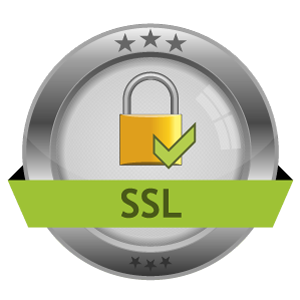 Discount Tire is the top independent tire retail company in the United States. Even though it’s privately owned, the company is large, employing over 16,000 people spread out over 28 states. They were founded in 1960, and are ranked in the Forbes 500 for privately held companies. Getting a job here is a great way to start or continue a career in the automotive industry or as a mechanic. We’ve put together everything you need to know to get started with your application. Discount Tire has many job opportunities available, both in store and at the corporate level. Service technicians are the most common position. These are the people that make repairs. Pay for this job starts out at around $9.50 per hour, and then moves upward with experience. Customer service specialists are also needed, although these positions tend to be part time in nature. They pay a bit more per hour, usually around $12 or $13 per hour, but you will be given fewer hours per week. Corporate positions and store managers make more money, but these are not entry level jobs. Pay here starts around $45,000, and knowledge of the company and a strong background in sales are both needed in order to advance into a management position. 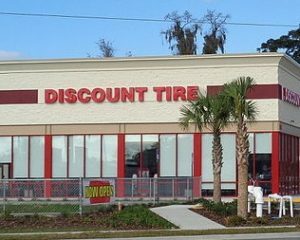 Discount Tire has over 900 locations right now, and they employ thousands of people. They also have a very solid reputation in the retail tire sales business. Because it isn’t a publicly traded company, there are some extra perks and greater degrees of job security in many positions within the company, too. They offer benefits to employees like 401(k) retirement accounts, profit sharing, referral bonuses, health insurance, paid time off, paid vacations, and employee assistance programs, if needed. You need to be 18 years old to apply to work at Discount Tire. You must also have a valid drivers’ license and a high school diploma or a GED. A thorough knowledge of cars, and particularly tires and tire care, are needed, but a lot of this will be developed as your progress in your career. You should have a genuine interest in the automotive industry, and a knack for working with customers will be useful if you are pursuing a sales position. Keep in mind that if you live in California and you are applying to work here, the store is typically referred to as America’s Tire. Even with the different name, this is still the same company. Discount Tire employees should be hard working and knowledgeable about mechanic tasks. They should be punctual to their shifts, and they should always have a positive, friendly attitude. To apply for a job at Discount Tire, go to their website, scroll down to the bottom, and under the “Company” heading, there is a link that says “Careers.” Click this, and you can search through the local openings. Once you find one that you like, select it, and begin the application. You can choose from both store and corporate positions. Give yourself plenty of time to fill the questions out; usually 45 to 60 minutes is more than enough. Applications are also available at each location, just go in and ask to speak to the manager on duty. If you decide to go this route, remember that this is the first impression that you will be giving of yourself to the person that will be making a decision about your hiring. Act accordingly. At your interview, be sure to dress and conduct yourself professionally. You will be asked questions about your interest in the company, your background in the automotive industry, and other similar questions. Don’t worry if you don’t have a lot of professional experience, or you don’t have a lot of experience working with cars or car parts. Having experience working with people and an interest in advancing your knowledge in this area is a big plus for you. At the end of the interview, they will most likely ask if you have any questions for them, so be sure to have a few prepared ahead of time. If you are applying for a job with the corporate office, being located in or near Scottsdale, Arizona, will be a huge help as this will prevent the company from needing to consider relocation logistics for you.